Please note that this schedule can change as race day gets closer, please check back for updates the week of the race. 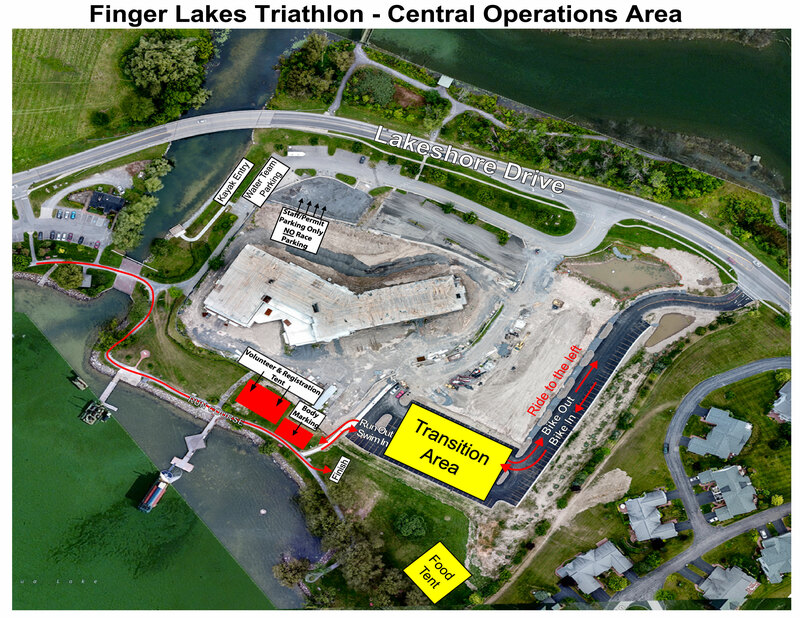 Body marking will take place in front of transition area (you must be wearing race bib to get body marked and you must have body marked and be wearing race bib to be let into transition). Please allow yourself plenty of time to pickup your race packet (if you haven’t previously) get body markings and set up your transition area before the 6:45 a.m. meeting in transition. Keep in mind that ALL 1,000+ athletes will be preparing to race on Sunday morning. You will need to wear your race bib and timing chip, which will be in your packet, before you get body marked. THEN, athletes ONLY may enter transition. Transition assignments: All athletes will be requested to leave the transition area at 7:00am. Until that time, you will be able to enter and exit through a side entrance, but ONLY if you are a registered athlete. Race Day Parking - Please park in the Parkway Plaza lot on route 5 & 20 (Eastern Blvd) or the new public parking lot on Muar St. behind the Speedway gas station and walk to Kershaw Park (approx a 5 minute walk). NO parking will be available in the Steamboat Landing lot. 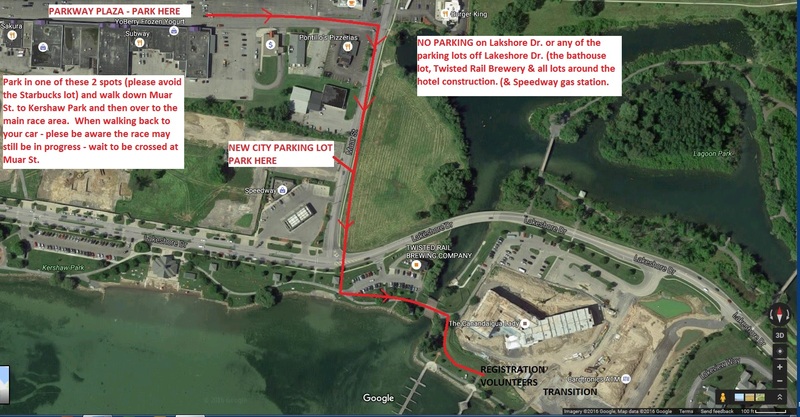 NO parking on Lakeshore Dr.
Bathrooms - We will have 30 outdoor restrooms for event participants and spectators that will be located at the side of the transition area.